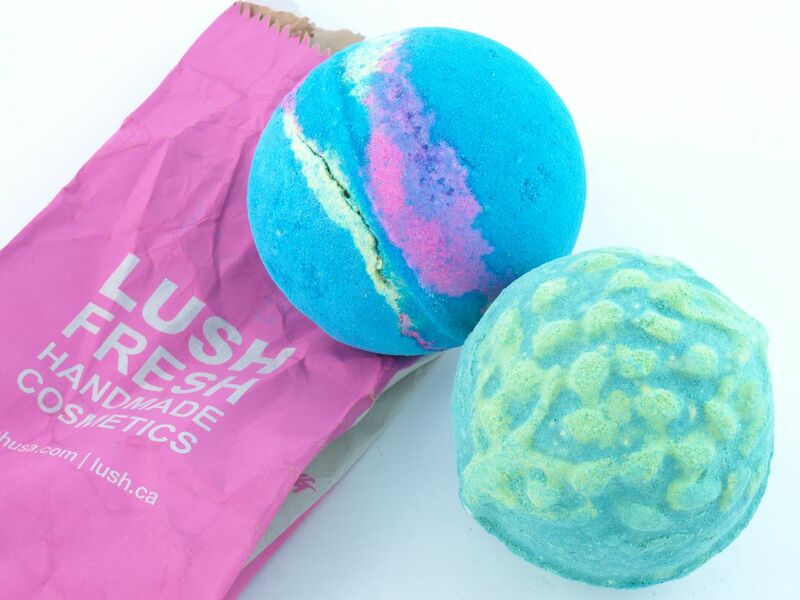 Made with peppermint, grapfruit, vetiver, and cedarwood oil, this is a beautiful shimmery blue bath bomb mixed with streaks of pink and yellow, mimicking the beauty and colors of the galaxy. Although visually-stimulating, the scent of this really wasn't that strong or distinctive, even before it fizzed away. Additionally, I was looking forward to a rainbow of colors but the dark blue pretty much overpowered the blue and yellow. So all in all, this wasn't a hit for me. 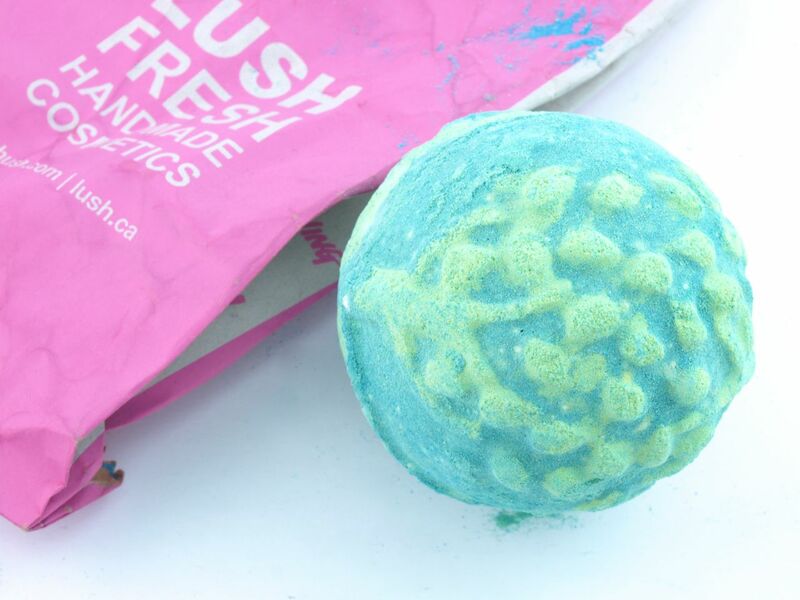 If you prefer some really fun bath bombs that pack serious surprise and awe, check out Lord of Misrule, Shoot for the Star, Golden Wonder, or Luxury Lush Pod (all of which are ironically less expensive than the Intergalatic and the Guardian of the Forest below). This is a very delicate bath bomb with a unique plant design on the outside. Once dissolved, it turns the bath water a very pretty green with subtle shimmers. In terms of the scent, though, this one was also bit weak, I honestly couldn't really pick out any of the individual notes (ex. cypress, oak moss, lime, and rosewood), even before dropping it into the tub. 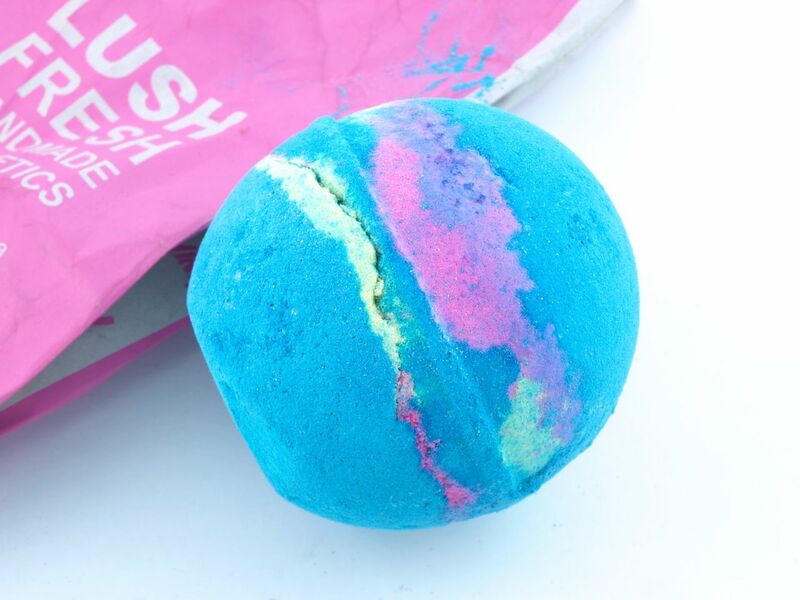 Additionally, this isn't one of the most "fun" bath bombs either, the whole ball was entirely the same color, with no fun surprise center and no contrasting colors.